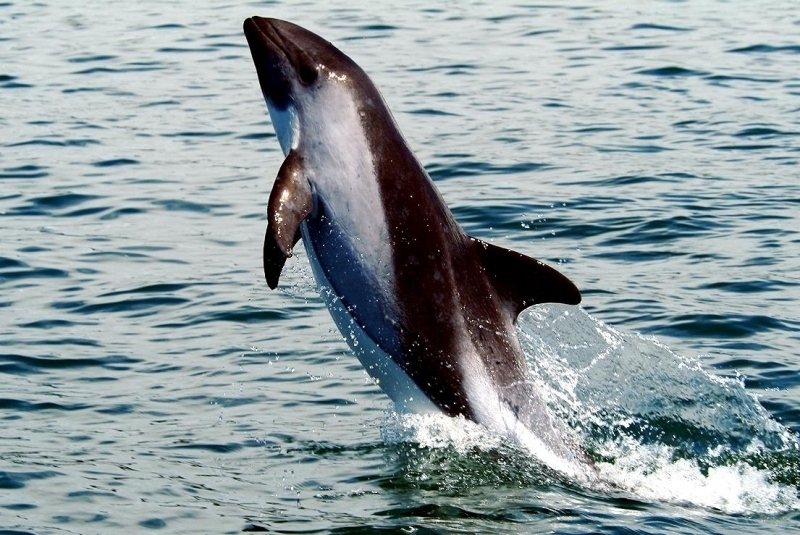 Peale’s Dolphins are small cetaceans with a stocky body and a very small beak. 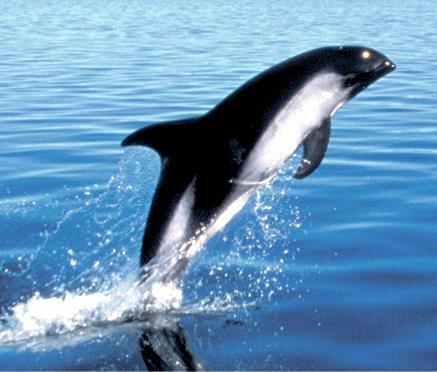 The dolphin’s name was taken from Captain Titian Peale of France who described the species in 1848. Males measure between 1.38-2.18 meters; females measure between 1.3-2.1 meters. The maximum recorded weight is 115 kilograms. 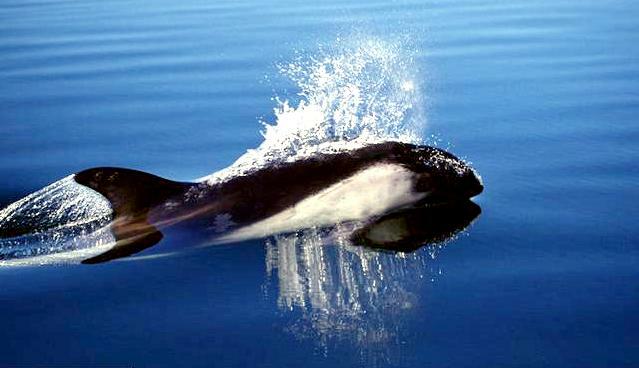 Adult Peale’s Dolphins are dark gray to black in color with lighter shading on the flanks. 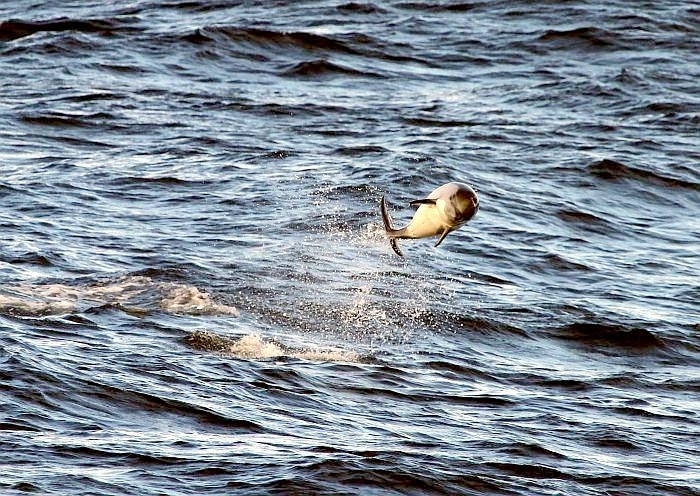 A curved light gray patch angles forward from the ventral side and flank narrowing to a single line that ends near the dorsal fin. The patch extends on the posterior end of the body toward the tail stock. A larger patch is found on the throat, which is light to medium gray in color with a thin dark line underneath. Peale’s Dolphins also have a characteristic double black eye-ring that extends toward the snout. Mature dolphins have small knobs on the front edge of their flippers. Younger animals are lighter grey than adults. 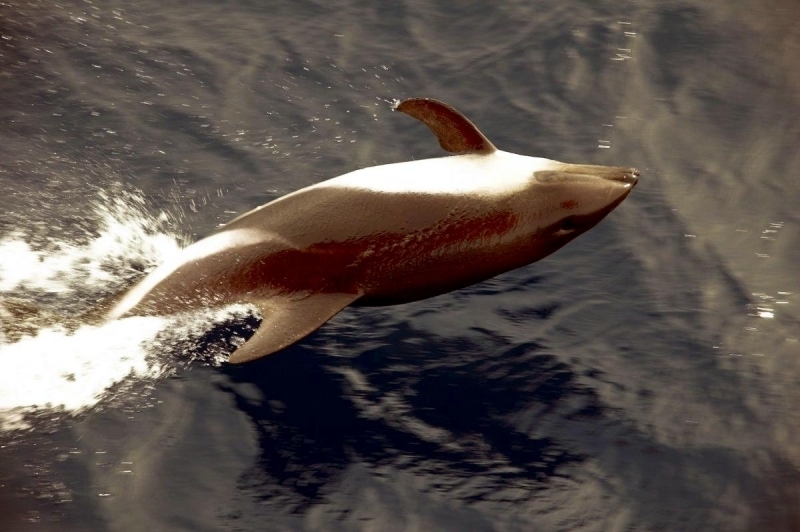 Peale’s Dolphins can be confused with Dusky Dolphins throughout much of their range. 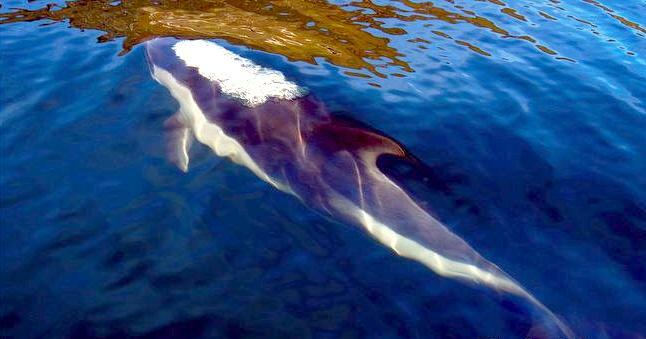 In the Strait of Magellan in Chile, studies of Peale’s Dolphins have shown that populations there appear to remain year round in specific areas close to shore. Other observations have shown migrations to offshore waters. 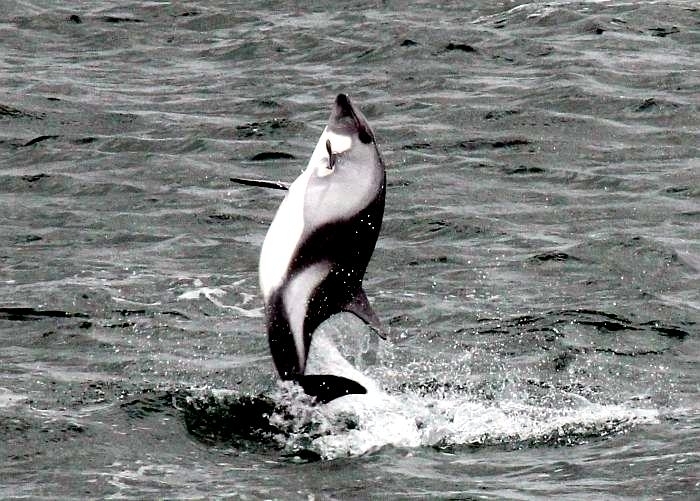 Land-based surveys on the west coast of the Strait of Magellan have reported higher numbers of Peale’s Dolphins near shore in Summer than in Winter. 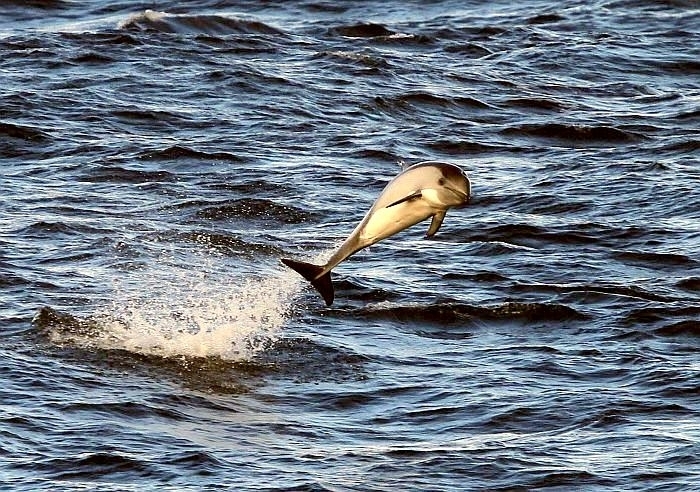 Higher concentrations of Peale’s Dolphins have been observed during Spring in the southern part of the Strait of Magellan, which is thought to be the preferred calving area of this population. Peale’s Dolphins congregate in small groups, usually about five in number and sometimes up to 20. 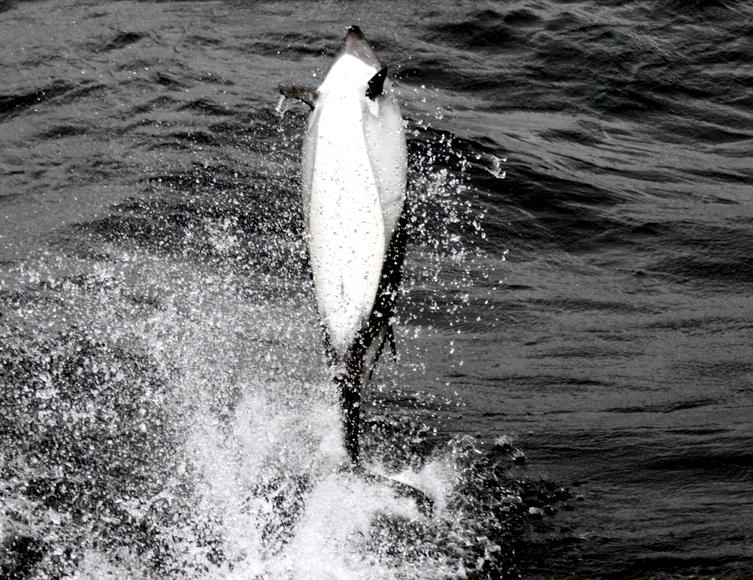 On rare occasions in summer and autumn, much larger groups have been recorded of over 100 individuals. A typical pattern is for the group to move in a line parallel to the shore. They usually swim slowly, but are prone to bursts of activity. 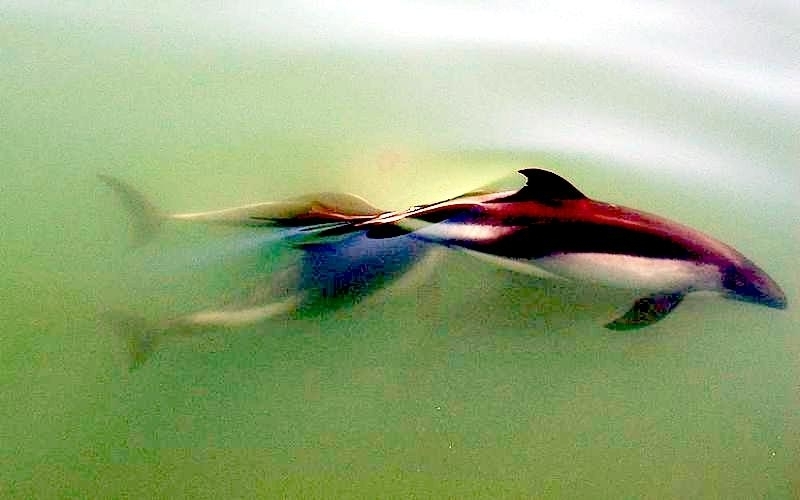 Peale’s Dolphins propensity for moving over only small areas and staying close to shore, has rendered them vulnerable to interference by man. 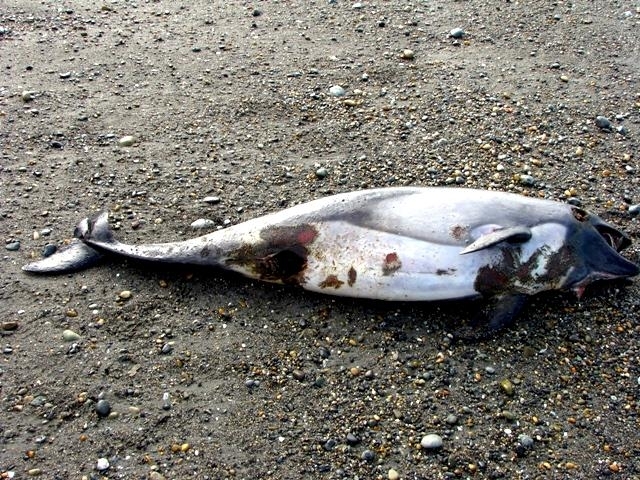 During the 1970’s and 1980’s, Chilean fisherman killed and used thousands of Peale’s Dolphins for crab bait each year. This practice has decreased, but not been made illegal. 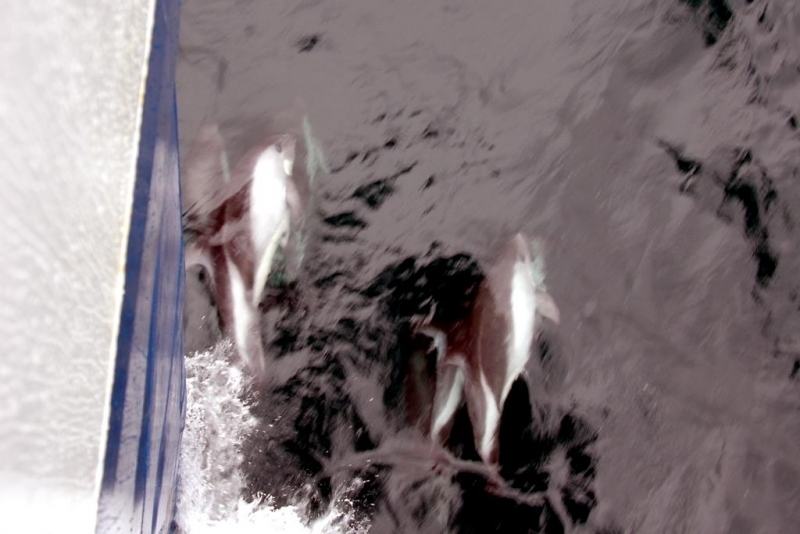 In Argentina, Peale’s Dolphins have been reported becoming trapped in gill nets, but the extent of this is not known. Little is known bout the mating system of these animals. In general, it has been noted that Peale’s Dolphins have gestation periods of ten to twelve months. 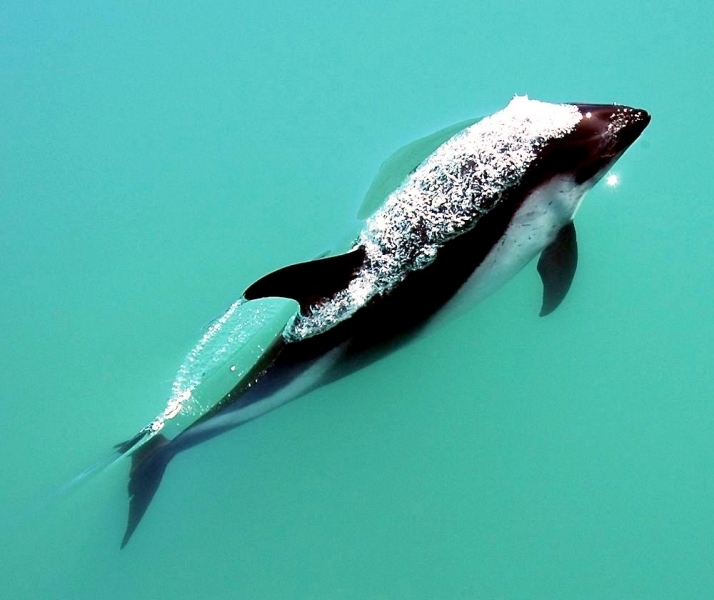 Calving season for Peale’s Dolphins usually occurs between the southern spring and autumn but a calf can be born as early as October. 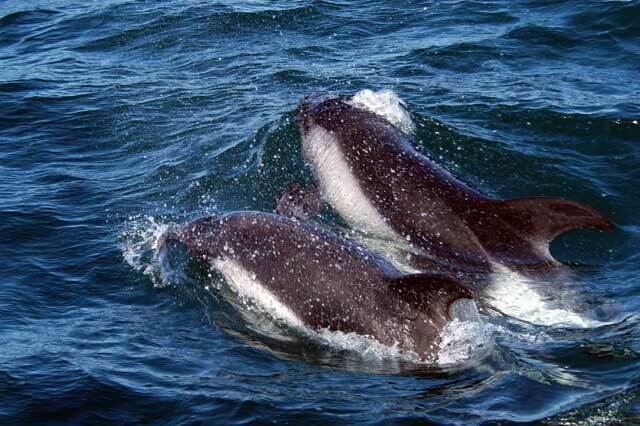 Females tend to have only one calf per birth maybe two and they also move more inshore to do this. Some records show that when 2 of these Peale’s Dolphins were spotted together in the past, they were only considered a mother and calf if the smaller of the 2 animals was one third or less the size of the adult accompanying it. On visual sightings alone, this is probably still the most common way to tell a calf from an adult. 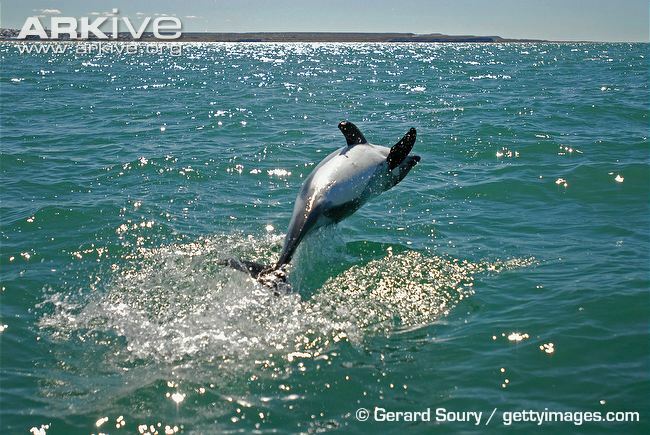 Peale’s Dolphins are known to ride the bow waves of large vessels and may swim alongside smaller ones. 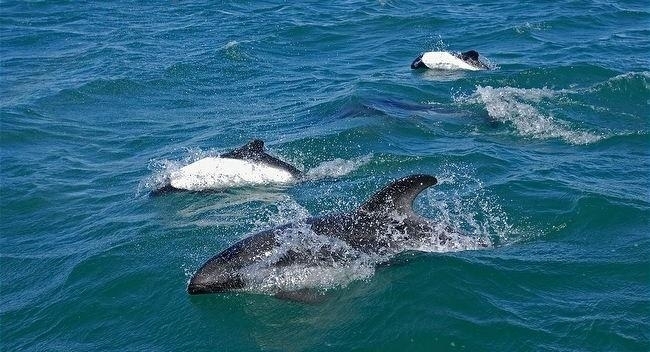 Although this species is known to swim slowly on occasion, Peale’s Dolphins are agile and acrobatic swimmers and have been observed in small pods of 2-30 animals cavorting with Risso’s Dolphins and Commerson’s Dolphins. 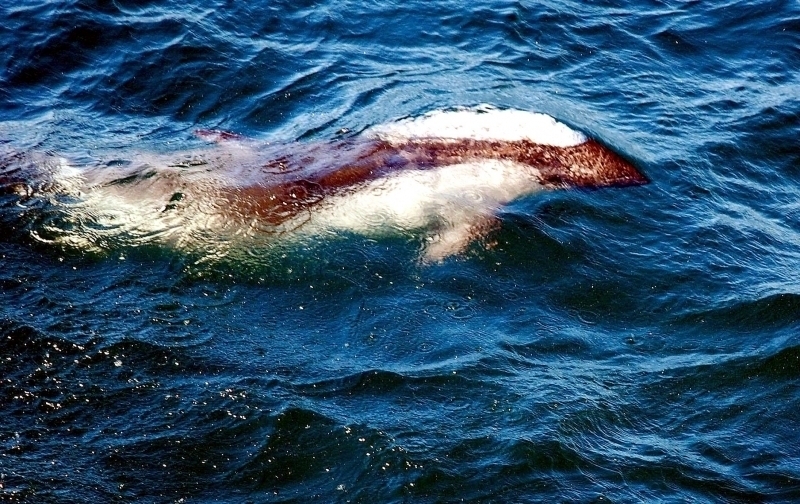 In the Strait of Magellan in Chile, studies of Peale’s Dolphins have shown that populations there appear to remain year round in specific areas close to shore. Other observations have shown migrations to offshore waters. 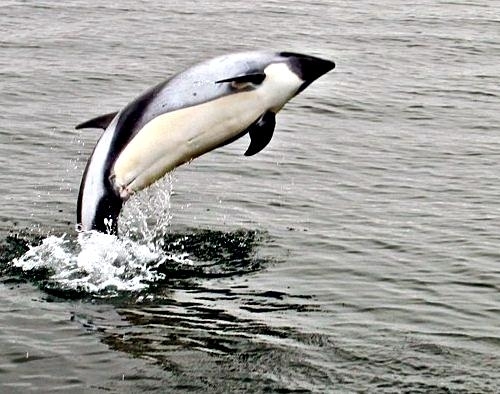 Land-based surveys on the west coast of the Strait of Magellan, have reported higher numbers of Peale’s Dolphins near shore in summer than in winter. 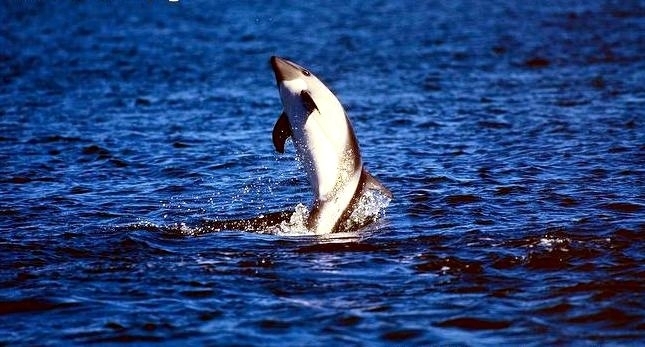 Higher concentrations of Peale’s Dolphins have been observed during spring in the southern part of the Strait of Magellan, which is thought to be the preferred calving area of this population. 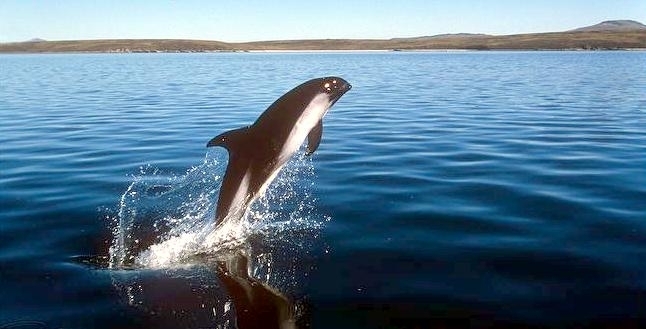 The Peale’s Dolphin is found in the shallow coastal waters of southern South America from Valdivia, Chile (38°S) and Golfo San José, Argentina (44°S), south to Beagle Canal and the Falkland Islands/Islas Malvinas. 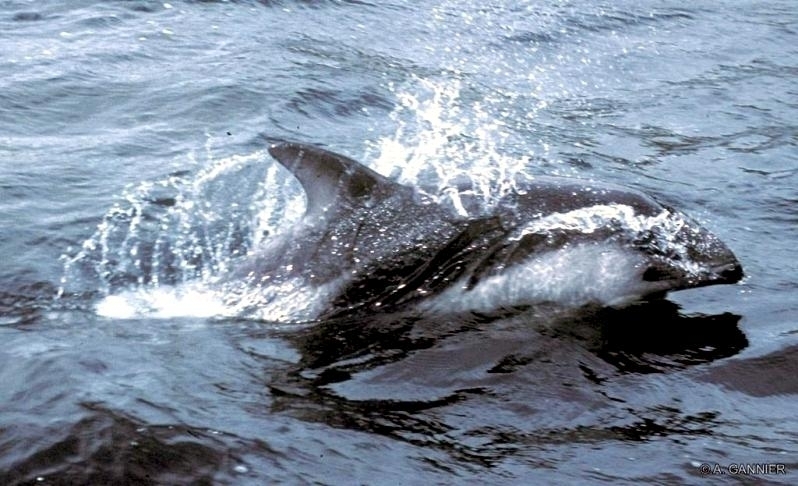 Population data are unavailable for Peale’s Dolphins, however it is known that this dolphin is abundant in the Straits of Magellan around the coasts of the Falkland Islands and Chile. They are most commonly found south of Puerto Montt, Chile, the Falkland Islands and Tierra del Fuego. 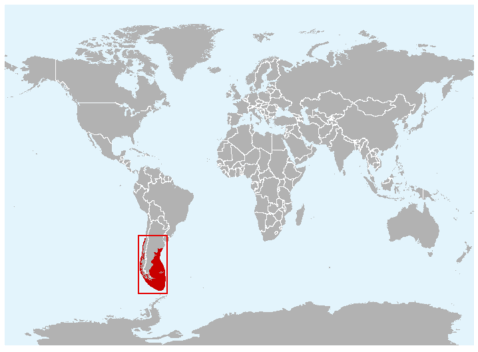 They have been reported as far north as Buenos Aires, Argentina and Concón, Chile. 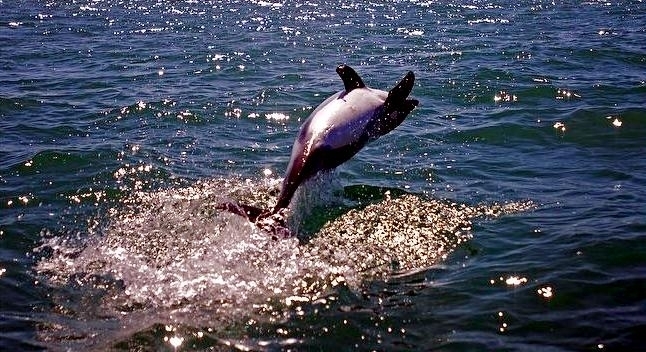 Peale’s Dolphins inhabit cool coastal waters and are often seen from shore. They prefer open coastline in the north and deeper bay sand channels in the southern part of their range where they are known to frequent rocky coasts and riptides at the entrance to fjords. 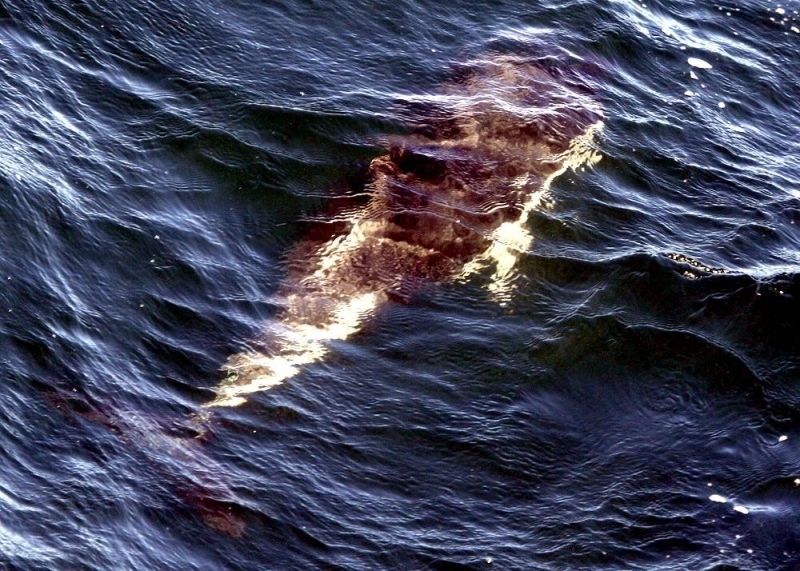 Peale’s Dolphins are often found in kelp beds where they swim and feed. Peale’s Dolphins feed on a variety of mollusks, crustaceans, cephalopods and fish. They give birth from October to April. Little data exist on the reproductive habits of this species.